If you do design work then you know how difficult it is to maintain version control. Date-based file names can work but sometimes you’ll want a workflow that’s a little more powerful. That’s what you get with Sketch Viewer, an online webapp made for sharing Sketch file previews and organizing versions of Sketch files. The site has a drag-and-drop interface that lets you easily share all your digital designs with anyone. You can create multiple directories for different projects and share them individually with team members, or share all your files publicly with anyone. You’ll never have trouble collaborating or delivering assets. 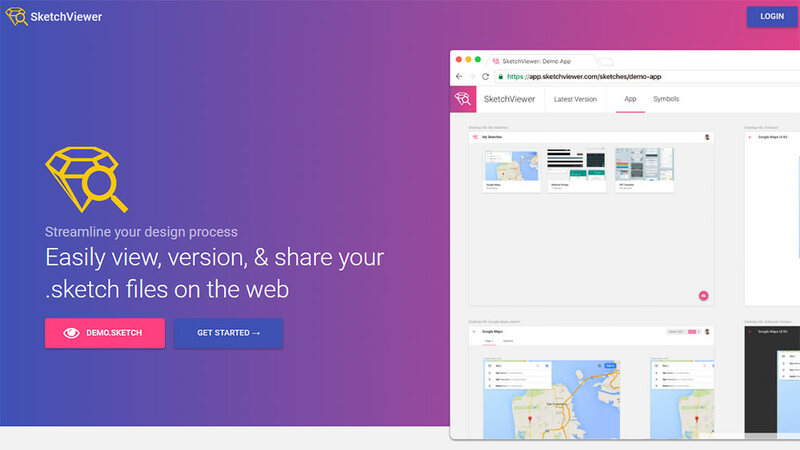 Sketch Viewer is completely free to use and it connects with your Google or Facebook account. However this does not work like a storage app such as Dropbox. It’s more of a presentation tool so you can show off all your artboards and design styles in one place. You don’t need to download any software or have anything other than Sketch on your machine. You just drag your sketch file onto the webpage and watch it upload. Each artboard gets its own view and the interface lets you pan, zoom, and swipe around with ease. Check out the sample demo if you want to see how this works with a live project. You can swipe around to see all the different art boards and their names. But you can also click the Latest Version link at the top to check out previous versions. This way you can go through all changes to see how you’ve improved or what you did better in prior designs. 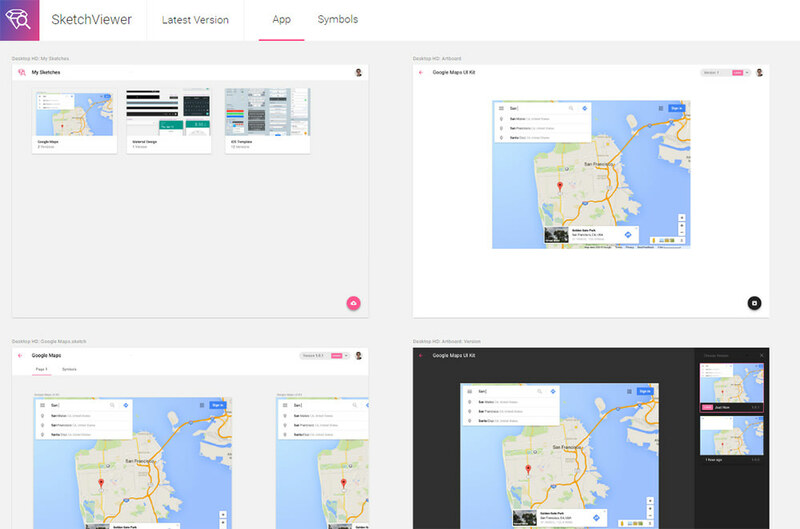 Overall Sketch Viewer is super easy to use and it’s the simplest browser-based app for sharing designs online. I’ve yet to see anything similar for Photoshop so this is a unique tool for Sketch users. And with a price tag of free you won’t need anything else for design presentations.